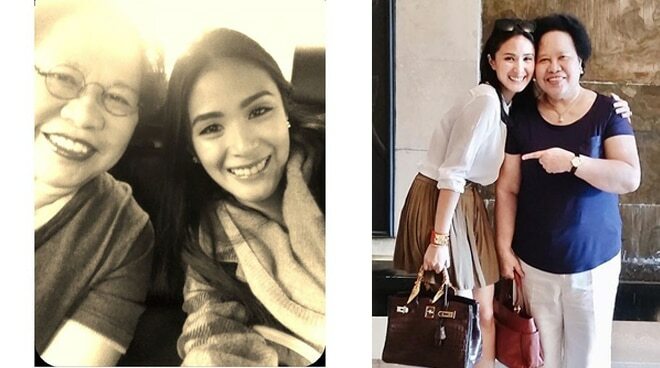 Heart Evangelista wrote a heartfelt post for the late senator Miriam Defensor-Santiago on Tuesday, November 20. On her Instagram, the actress said that she would have made a YouTube vlog with the senator if only the latter were still alive today. "If only I could turn back time and have one last conversation with you. I know people would have loved an ‘Adulting 101 with Senator Miriam’ video too. Missing you everyday, Sen. Miriam," Heart posted. Heart and senator Miriam had a very close relationship. The late senator was even instrumental in how the actress and her husband Chiz Escudero got together.